Their cricket-powder chips come in Sriracha, cheddar, and barbecue flavors. Insects for dinner, anyone? In many countries, it’s actually normal to eat bugs. Meryl Breidbart wants to bring this menu option to the U.S. – in part because eating insects is better for the environment than eating other animal-based protein. She says insects require less water, food, and space. And raising them produces fewer global warming emissions. For example, a study of farms in Thailand compared cricket to poultry production. Raising the insects generated only about half as much carbon pollution per pound of edible protein. So to get Americans more comfortable with the idea of eating insects, Breidbart helped start Chirps Chips. 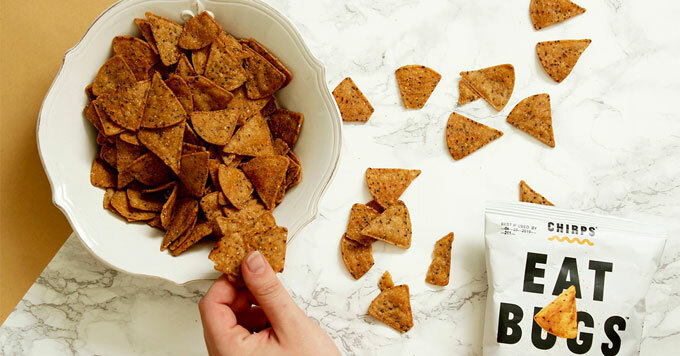 The California-based company uses powdered cricket protein to make chips. She hopes these snack foods will help gently introduce people to the world of bug-based cuisine.